Eliminate network down-time by identifying any concerns and resolving network related issues before they develop into problems and unnecessary downtime. 24×7 monitoring services ensure your systems are always protected and growth is properly managed. Unlimited IT Support whenever you need it! Resolve any issue by calling direct, lodging problems via a desktop shortcut or directly online if away from the office, and gain instant access to expert resources. Remote and onsite services are available.e. Properly addressing network security involves deployment, management and maintenance of many specialised products. We typically recommend implementing these as a service, offering the flexibility to easily adapt to changing requirements. Fixed Cost services allow you to accurately budget for previously unpredictable IT Support costs. Our management services support “Core Network” infrastructure such as Servers, Firewalls and Links and extend to the ‘Complete Network” and include desktops, laptops and mobile devices. Most businesses believe their information is “Backed Up” but have little confidence in performing a system restore if required. Why risk your business information? Our service can perform complete system restores in minutes, not hours or days. Ensure Business continuity! We cannot predict your future business growth or IT requirements but we can provide a flexible and scalable infrastructure where you only pay for what you need as you need it. This extends to IT equipment and many mainstream software applications. "Ultimate IT have been the preferred IT support supplier for the ACOR Consultants’ Group for the past 3 years. UIT have assisted us with numerous significant infrastructure upgrades across our Group along with the day to day management and maintenance of critical systems. UIT work closely with our IT Managers to ensure on-time and cost effective results for the Company." 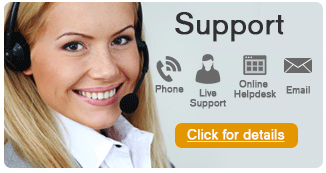 “UIT has provided Healthcall with IT support for 10 years. During this time, they have always been responsive, professional and able to manage both iterative and fundamental changes to our IT systems. Their support staff provide immediate and appropriate assistance, often in after-hours situations, always aware that Healthcall provides services to vulnerable clients requiring support on a 24/7 basis and all services are IT dependant. During the past year Healthcall has experienced significant growth in locations and services and presented challenges for IT systems and services and UIT have been able to provide excellent strategic and operational support and contribute to the success of the organisation as we achieve our growth goals. “Ultimate has been managing our office IT since 2011. The staff are friendly and helpful. We sincerely appreciate their responsiveness and assist us with our IT issues. Thank you very much Ultimate”. “Ultimate IT has been looking after our company for the past four years. We always receive efficient, timely services and their staff are friendly and easy to work with. “We have been dealing with Ultimate IT Services for many years now and find their service exceptional. If ever we have an issue which needs attention we receive immediate assistance and their ongoing service, maintenance and sound IT advice is second to none”.